Clinical Endocannabinoid Deficiency (CECD) was coined by Dr. Ethan Russo in 2004 to characterize symptoms found when there is not enough endocannabinoid system signaling. Most of the disease states related to CECD are marked by chronic pain, dysfunctional immune systems, fatigue, and mood imbalances. This is not surprising as the endocannabinoid system (ECS) regulates most of these physiological processes. The ECS is the largest neurotransmitter system in the body. There are more endocannabinoids in your body than dopamine, serotonin, epinephrine, glutamate or GABA. Your body can have too much or too little signaling of any of these neurotransmitter systems, leading to disease. Parkinson’s disease is caused by deficiency in dopamine, the neurotransmitter responsible for movement and motivation. Depression is suggested to be a deficiency in serotonin, and is treated with antidepressants that raise serotonin levels. Alzheimer’s disease is caused by deficiency in acetylcholine, a neurotransmitter that modulates memory, decision making and wakefulness. It makes sense then that there are diseases caused by deficiency in the endocannabinoids, the largest neurotransmitter system. Your body makes two main endocannabinoids called anandamide (AEA) and 2-arachidonylglycerol (2-AG). These neurotransmitters are released, activate cannabinoid receptors, and are broken down mainly by enzymes including fatty acid amide hydrolase (FAAH) and monoacylglycerol lipase (MAGL), respectively. There are several ways in which your body can have a deficiency in ECS signaling. First, there might not be enough endocannabinoids synthesized. Second, there might not be enough cannabinoid receptors. Third, there may be too much of the enzymes that break down endocannabinoids. Finally, there may be enough endocannabinoids and cannabinoid receptors, but there is not enough signaling happening. There are several ways to remedy a deficiency in ECS signaling. You could eat more substances that boost levels of endocannabinoids in your own body and brain. You can get rid of lifestyle factors like medications and foods that decrease endocannabinoid signaling. You can also consume phytocannabinoids, which are cannabinoids that come from plants. The most abundant source of phytocannabinoids is cannabis, with over 130 types of cannabinoids discovered. Other sources of phytocannabinoids include commonplace foods such as flaxseed, black pepper, and echinacea. It is likely that Western lifestyle of unhealthy diet, infrequent exercise, poor sleep, and lack of stress managment contributes to endocannabinoid deficiency. Many diseases suggested to be caused by endocannabinoid deficiency are in fact much more frequent in countries that have adopted the Western lifestyle. IMPACT Network believes all humans have the right to restore balance to their endocannabinoid system using the phytocannabinoids of their choice, and fully supports cannabis legalization. Ross MN. Vitamin Weed: A 4-Step Plan to Prevent and Reverse Endocannabinoid Deficiency (2016). Russo EB. 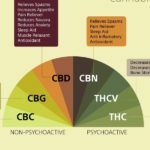 Clinical Endocannabinoid Deficiency (CECD): Can this Concept Explain Therapeutic Benefits of Cannabis in Migraine, Fibromyalgia, Irritable Bowel Syndrome and other Treatment-Resistant Conditions? Neuroendocrinology Letters (2004). Russo EB. 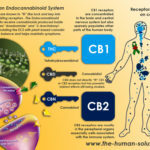 Clinical Endocannabinoid Deficiency (CECD): Can this Concept Explain Therapeutic Benefits of Cannabis in Migraine, Fibromyalgia, Irritable Bowel Syndrome and other Treatment-Resistant Conditions? Neuroendocrinology Letters (2008). Smith SC and Wagner MS. Clinical Endocannabinoid Deficiency (CECD) revisisted: Can this Concept Explain Therapeutic Benefits of Cannabis in Migraine, Fibromyalgia, Irritable Bowel Syndrome and other Treatment-Resistant Conditions? Neuroendocrinology Letters (2014). 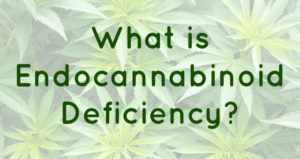 This article was copied with permission from http://www.theimpactnetwork.org/endocannabinoid-deficiency for archival and educational purposes.